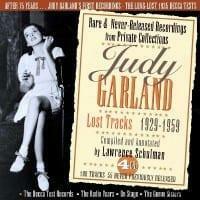 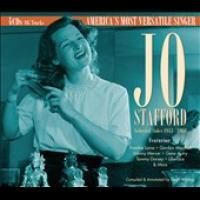 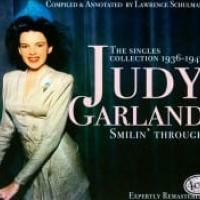 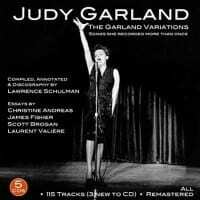 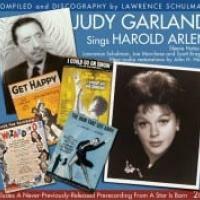 For the first time uniting songs Judy Garland recorded in the studio more than once between 1937 and 1962, The Garland Variations offers a rare glimpse of her developing artistry. 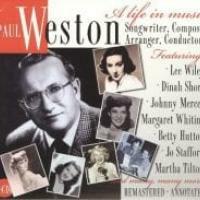 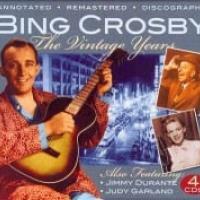 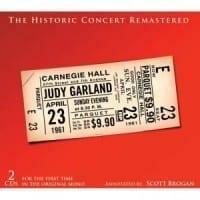 With three songs never previously released on CD, the remastered 5CD 115-track set offers 6 ½ hours of music from the golden years of the great American songbook. 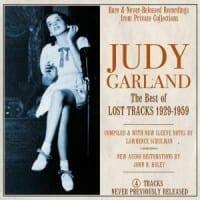 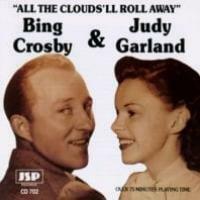 To hear Garland perform "Over the Rainbow" five times, first in 1938 for The Wizard of Oz soundtrack and last in 1960 at Capitol Records, is to witness her evolution from a precocious child star to one of the 20th century's most important interpreters of song. Annotated and with a discography by award-winning Garland historian Lawrence Schulman, as well as with essays by Broadway star Christine Andreas, scholar James Fisher, TheJudyRoom.com's founder and webmaster Scott Brogan, and French public radio broadcaster Laurent Valière, these variations will thrill music lovers and fans alike.